The video is projected on a horizontal plane of a white table, a chair in front of it, and a pair of headphones. 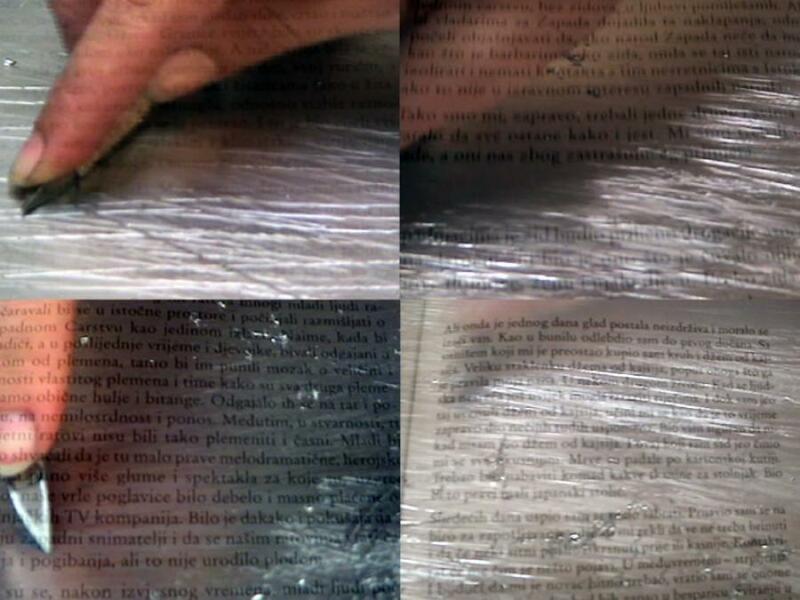 Routine is an abstracted quotidian place of parallel activities in which the time is a protagonist: the time recalled by the written text in the video, the time in which the text is read to us by the narrator in a different language from the written text, the time in which we follow the hand performing an action – scraping the surface of a shiny metal, the time in which all images and sounds overlap in the video. 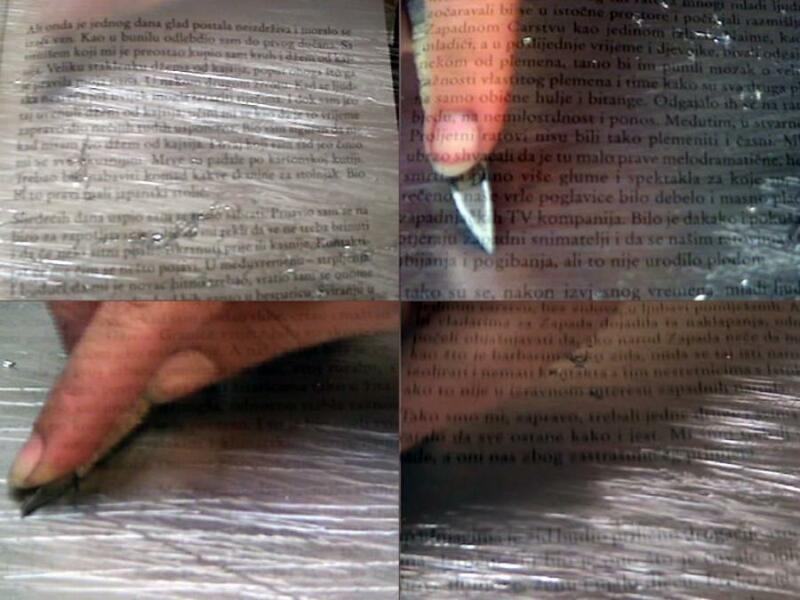 – 2005 (November – December ) – Dubrovnik Art Gallery, Dubrovnik, Croatia, group exhibition, Rijeka Art Scene / “Snapshots”,curated by Nataša Ivančević (Museum of Modern and Contemporary Art in Rijeka).